Deals just keep a coming! Right now Friends &amp; Family Rewards Member at G.H. Bass & Co Take an Extra 30% off Your Entire Purchase with code FRIENDS30 at checkout. I like heading to the Shoe Section to shop. 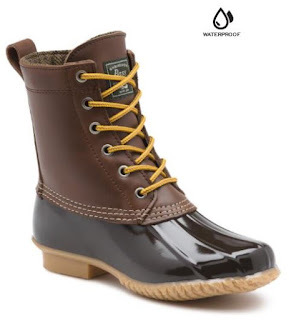 A few months ago I bought these Harlequin Waterproof Duck Boots $55.99 (Retail $130).